Jean-Louis Ripoche worked in Tel Aviv prior to the Maldives, but his heart was always in Asia; he had previously worked in Indonesia for eight years and another eight years in Thailand. So when he had the opportunity to work in the Maldives, he happily accepted it. 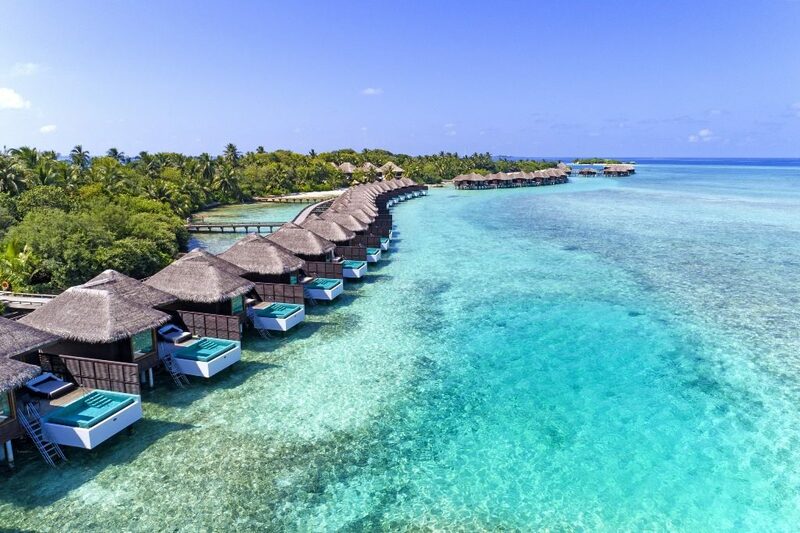 According to Jean-Louis, if he had not come to the Maldives to work, he would have come here as a tourist to dive. 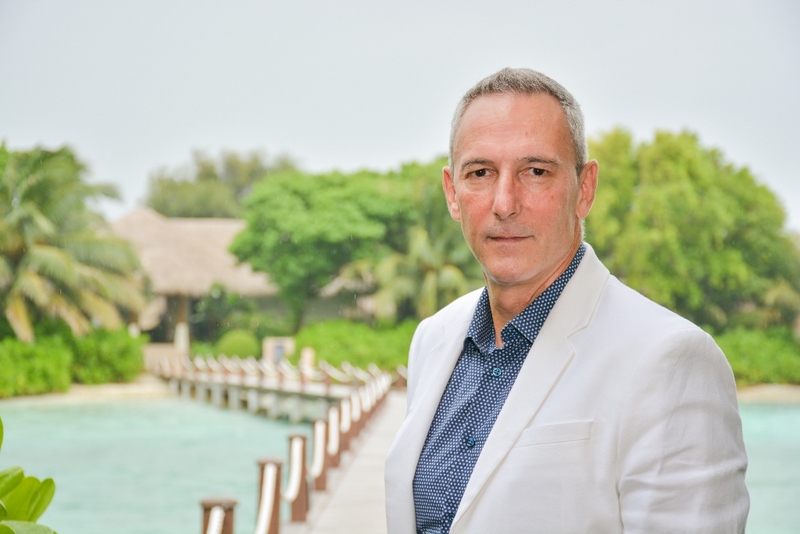 Jean-Louis has been here in the Maldives for almost four years and is currently the General Manager at Sheraton Full Moon Resort. HM: Can you tell us a little bit about your experience prior to taking on your responsibilities in the Maldives? JLR: Following the footsteps of my father who was a great chef, I started in 1982 in the Middle East – Abu Dhabi as a Chef then I was given a chance to begin my F&B Management career in Boston, USA. I could say that the first two years in the hospitality industry in Boston was the best career jumpstart in management experience, especially at the young age of 23. Working as an Assistant F&B Manager was a big challenge but I learned that even after finishing a degree from a reputable hotel school, true learning only happens when you deal with different people and learn to value them. Comparing to Europe or France to be exact, living in the States with a fast-paced and advanced lifestyle made me understand people more, especially people coming from all walks of life. After Boston, I moved back to France for my first position as an F&B Manager. I am proud to say that I was the youngest to have the position in a big hotel chain at that time. From France, I went back to the Middle East to Kuwait and continued my F&B career. Years later, I discovered Asia via Phuket, Thailand which was the peak of my F&B achievements and was able to develop a new passion to conceptualize and open new F&B venues. From restaurant developments, I was able to elevate my skills into hotel management projects mainly around Indonesia and Thailand. In 1998, I took up my first General Manager assignment and am now, very much enjoying this multi-skilled and challenging hospitality management position. HM: What has been the most challenging aspect of managing a property in the Maldives? JLR: I have been in hotels around the world, but this is the first time I have been in a hotel that is 100% independent, self-sufficient and is located on a separate island. It requires a very different management style because you are not managing only a hotel but you are managing a whole village or a small city where you have to produce your own water, electricity, manage your own sewerage treatment, etc. You really have to plan in advance for your procurement, which is a challenge that we all find frustrating in the Maldives especially getting things done on time. It takes four times longer than doing it on land and it could be four times more expensive. But I embrace knowing that I am in control of everything. Normally it’s only one side of the hotel that you can change, but here you can change the whole island. I mean you can really change the whole village. HM: What are your thoughts on the challenges that the Maldives as a destination is facing at the moment? And what are your suggestions for dealing with them? JLR: In recent years, there have been a tremendous number of new openings, mainly in the luxury segment. But the airline traffic is not sufficient for this development and at the moment we are suffering in quality supply. And it creates what we in the industry call a ‘rate war’. And I am concerned that it will spin down and you will not be able to see the high rates that you previously saw in the Maldives. Although we are competing internally with each other, we also have to keep in mind which other destinations the Maldives are competing against. Because we are competing with the likes of Mauritius, Seychelles and Bora Bora and even though the Maldives is a very pristine and unique destination, we cannot just think that we are the only one on earth. And that is where the rate has to be a bit more moderate. My advice and my hope is that everybody could hold onto their rates, without further lowering, which would not be healthy for the future of Maldives. Because once the airport is finished, you are going to have a flow of traffic whereby eventually you will have more demand than supply. So everybody should try to maintain their position, offering the best product for what is good for them. Undercutting will only be detrimental in the long run because you are not going to recover from that. It has always been accepted that the Maldives will be an expensive destination and we should not move from that. It’s actually a good quality for the destination to be perceived as expensive. That’s one thing that the Maldives has to be very careful about, not to become a mass tourism destination. And anything we do should continue in keeping with the country’s image as a luxury destination. Another thing that the Maldives will need to develop so as to be able to compete in the world market is to diversify. Today the product is too uniform. All the islands look alike. Yes, you have some that are doing some things slightly differently. But the more you diversify, the more you can attract different crowds, which will, in turn, attract different types of investors who also want to do something different. That will make a big difference. 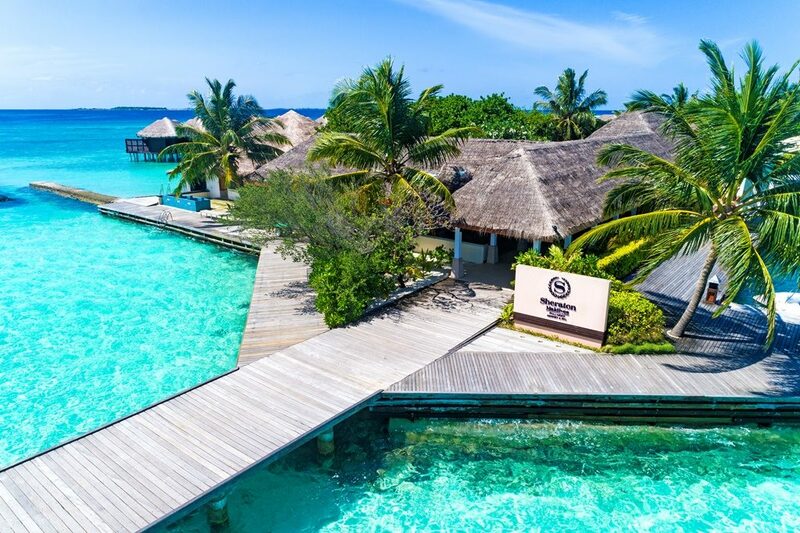 Because to bring the same luxury hotel after luxury hotel, does not bring in any value to the Maldives after some time. The Maldives needs to bring something new to add value, like wellness tourism, medical tourism, etc. which is also something very lucrative. But at the moment it’s all focused on the same thing. HM: Do you have any thoughts to share with aspiring hoteliers in the country? JLR: For the aspiring young generation who have passion and drive to achieve things, hospitality is still a very good place to be in, because in this industry, you really need to be creative and passionate to do it. It’s not just a job for someone who wants to have his work with peace of mind, you need to overcome challenges as you are not just managing a hotel but you are managing a village. You need to give yourself wholeheartedly and be a source of passion for your team. And you can achieve things because you are in control but you have to be resourceful. It’s not like you are in a city where you can see others and think let’s do that. When you are on an island, you need to be creative yourself. So it’s a place for people who want to be creative and are entrepreneurial and who want to do things and want to experiment. There is still much space here to experiment.